Union members shut down mines, railroads, bakeries, restaurants, laundries and construction sites across Sangamon County in September 1917 following the violent breakup by police and the Illinois state militia of a pro-labor march. The march — for which city officials had refused to issue a permit — was in support of a then-six-week-old strike by Springfield streetcar workers, which itself had been marked by violence from nearly the moment it began. About two-thirds (the exact proportions were always disputed) of the employees of the Springfield Consolidated Railway Co. had gone on strike July 25, seeking pay raises, a nine-hour workday and recognition of their union, an affiliate of the Amalgamated Association of Street & Electric Railway Employees of America. Streetcars, however, kept running, staffed by non-striking local workers and streetcar workers imported from other franchises of the Hodenpyl, Hardy & Co. “syndicate,” which owned both the Consolidated Railway Company and the private Springfield Gas & Electric Co. 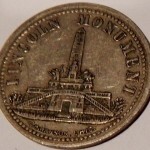 The Illinois State Register reported on the resulting chaos. “Pull ’em off the cars” were the words that were frequently shouted by some of the hundreds of persons who gathered around to watch the progress of the strike. Whenever any passenger alighted from a car in the downtown districts of the city strike sympathizers would clap loudly. Several thousands of persons were congregated near Fifth and Monroe streets early in the evening, but they were rushed by both the police and members of the sheriff’s department, and forced to disperse. That first evening, mobs overturned a streetcar at 15th Street and South Grand Avenue, several railway workers were injured by flying bricks, and a non-striking motorman received a flesh wound when struck by a small-caliber rifle bullet, the Register said. In the next few weeks, virtually all union members boycotted the streetcars, and sporadic violence continued. Wheeler, saying he could control the streets in daylight but not at night, eventually ordered Consolidated to cut off service at 6:30 p.m. (streetcars normally ran until 10 or 11 p.m.). Cooler heads briefly prevailed, and the two sides reached a tentative agreement Aug. 11 to end the strike. Even before any streetcar left the car barns, however, the deal fell through in a dispute over whether the carmen would be allowed to display their union cards in their caps. Off-and-on violence continued through August, as did the boycott, even though the company obtained a sweeping court injunction that banned local unions and union members from even asking people not to ride the cars. For their part, to increase pressure on the company, many union members cancelled gas and electric service and directed that their utility meters be removed. Meanwhile, the number of “jitneys” — automobile taxicabs — in Springfield jumped from two dozen at the start of the strike to more than 150 as of Aug. 24. The next serious spasm of violence occurred when Springfield union members returning from a Labor Day event in Bloomington — many of them, the Register said, “at least partially under the influence of liquor” — rioted throughout downtown the night of Sept. 3. “Six street cars were wrecked, the glass front of the Utility building (which was at Fourth and Monroe streets) was demolished and the display windows ransacked, and twenty men were arrested as ringleaders,” the Register reported. Mobs totaling 1,000 or more ultimately were dispersed only after two companies of the state militia charged the crowds with fixed bayonets. The Labor Day events persuaded city police to deny a parade permit sought by supporters of the striking transit workers. The plan was for a march on Sunday, Sept. 9, from downtown to Reservoir Park (now the site of Lanphier High School and Robin Roberts Stadium), where a massive rally — more than 50 unions were expected to participate — was planned. March organizers at first vowed to ignore the parade ban, saying they intended only “an orderly, law-abiding procession.” Some labor leaders decided at the last minute to use other routes to go to the rally, but hundreds of marchers still tried to gather at the carpenters’ union hall, Seventh and Adams streets, the original jumping-off point. But police cordoned off Carpenters Hall and continued to harass marchers when they tried to regroup elsewhere. Determined protestors finally started off from Seventh and Jefferson streets “behind an American flag and with some semblance of parade order,” according to the Register’s account. (T)he crowd hesitated and then made an effort to pass. Using their swagger sticks, the soldiers forced the marchers back until Henry Rudolph, who was carrying a large American flag, rushed forward and attempted to pass Lieutenant-Colonel Lowman. With his stick the officer lashed Rudolph across the face, and the flagbearer staggered back. Then, wrapping the folds about him, he rushed forward, apparently with the intention of grappling with the soldier. As Rudolph rushed him, Lieutenant-Colonel Lowman fired, aiming either at the ground or Rudolph’s legs. The bullet missed Rudolph, but struck the man next to him and then ricocheted off the pavement to hit another marcher. As rumors spread through the crowd that Rudolph had been killed, two militia companies arrived on the scene. “(S)omeone in the throng shouted: ‘Let’s go home and get our guns,'” the Register reported, prompting the soldiers to fix bayonets and sweep southward, clearing Fourth, Fifth, Sixth and Seventh streets and the side streets between them. “Even under all the outrages committed there is no claim that any union man or sympathizer created any disorder or committed any overt act,” the statement concluded. Union members at Reservoir Park, hearing of the clashes, promptly called for a general strike by all local unions. The main headline in Tuesday morning’s Register was “General strike menaces city.” The unions had moved quickly, the story said. Restaurant employes and laundry wagon drivers, unorganized, were said last night by labor men to have agreed to organize and strike during the day, and the building and crafts unions are expected … to join in the movement either today or tomorrow. The strike quickly gained momentum. Several construction unions, among others, joined the walkout Tuesday, as Gov. 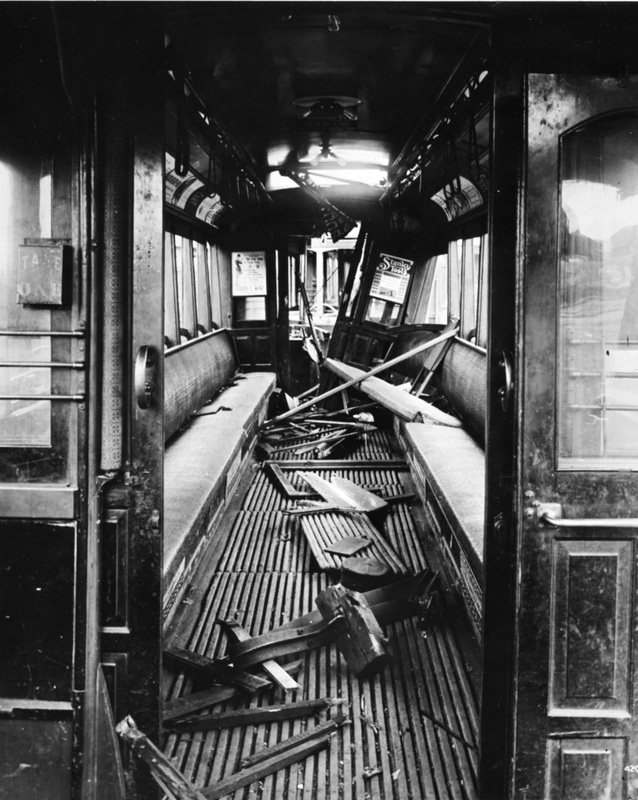 Frank Lowden entered negotiations and a streetcar was dynamited (with no injuries). Wednesday, union barbers joined the general strike, and Jacob Bunn announced that both the Illinois Watch Co. and Sangamo Meter Works would both have to close because of walkouts, even though most of the 1,900 employees there were non-union. “That the laboring women of the city are not idle in the general strike movement was shown yesterday when a group of girl employees of the shoe factory stopped a street car and removed with force the motorman and conductor,” the Register reported Thursday. We want it distinctly understood that we are American citizens and stand for American ideals. We have no connection with foreign institutions, and all we ask are the rights guaranteed us by the laws of the land — a fair wage, the right to organize if we are so inclined, the right to have peaceful parades, the right of free assemblage. We want nothing more. We will accept nothing less. At its peak late in the week, the strike is estimated to have idled 9,000 workers. Lowden’s mediation finally bore fruit during a three-hour meeting on Saturday, Sept. 16. In what was characterized as a victory for labor, the union representatives agreed to call off the general strike, although streetcar workers would remain off the job. 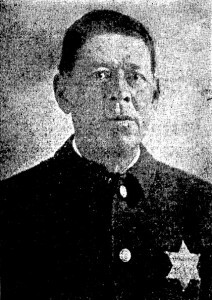 Meanwhile, Sheriff Wheeler was to discharge all his special deputies (one of whom had been the prime suspect in the shooting of Officer Roll). In return, union officials pledged to work with Wheeler and police to stop strike violence. The deal also specified that no impediments were to be placed in the way of another labor march scheduled for Sunday, Sept. 17. More than 3,000 people participated in a peaceful and uneventful parade from downtown to Lincoln Park on Sunday. Especially large ovations went to delegations from the un-unionized Sangamo Meter Works and International Shoe Factory, whose payrolls were heavily female. Those at the meeting ratified the agreement that ended the general strike. Their statement ended with a renewed endorsement of the streetcar strike and the need for labor solidarity. We desire to express our deep appreciation of the fairness displayed by our friends and assure our enemies that they, too will be remembered. We express the hope that the street car strike will soon be amicably settled, so that no cloud of industrial disturbances will threaten our city, and pledge ourselves to do everything in our power to bring about such a situation, duly appreciating that the burden and expense of strikes as well as inconveniences occasionally bears as heavily on the home of the strikers as on any other members of society; conscious also of the fact that if men did not have the courage to strike, wages would long since have sunk to the level of the Chinese coolie, as some corporations seem to regard profits as more sacred than the life and happiness of the worker. 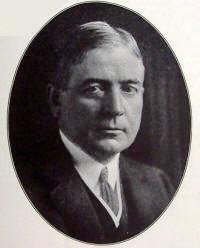 The general strike, in fact, did not lead to an agreement between the streetcar workers and the Consolidated Railway Co. Mackie remained obdurate, even though figures that November showed that the union boycott had cut the company’s revenue by 60 percent. As an alternative, the unions attempted to organize a rival motorbus company, but that initiative was rejected by the state public utilities commission in March 1918. Jitneys continued to rule the streets, and the former railway workers apparently never regained their jobs. The last Springfield streetcar ran on Jan. 2, 1938. Sources: Springfield newspapers, primarily the Illinois State Register; and Duncan McDonald’s autobiography, available in manuscript at the Abraham Lincoln Presidential Library. This entry was posted in Labor unions, Law enforcement, Local government, Politics, Prominent figures, Transportation, Women and tagged Duncan McDonald, Gov. Frank Lowden, Noah Roll, Reservoir Park, Sheriff John Wheeler. Bookmark the permalink. Enjoyed the article very much. Just wanted to give you a heads up. 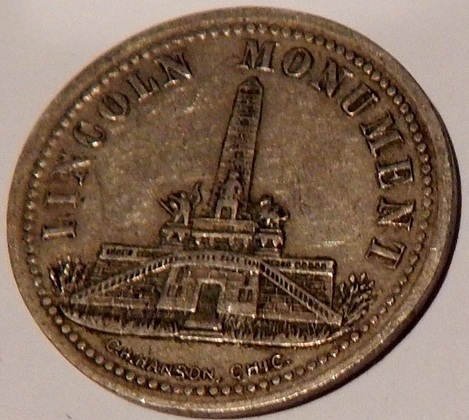 That picture of the token is actually from Springfield Railway Company of Springfield Massachusetts, not Illinois. Thanks for the article. Well, heck. That one’s been replaced by a different token, one I think is self-evidently from the correct Springfield. Good catch, Chad, and thanks for reading.